With so many different kinds of dog leashes on the market, a first time leash buyer might feel a little bit overwhelmed. What’s the real difference between them? Which one will best meet your dog’s needs? How do you tell if a leash is right for you? All the questions will start to pile up on top of each other. To help you keep your sanity while you shop for the best leash for your dog, we've put together this short guide to talk about the different kinds of leashes, what they can do and which dogs they are best suited for. You’ll also get some quick tips for training your dog to use a leash and for shopping for the perfect leash for your dog! There are a lot of different leashes out there and each do different things. To cover every single kind would take up way too much time. So we’ve broken it into 3 very broad categories. This is your basic dog leash. It’s a piece of rope or other material with a clip at the end that connects to your dog’s collar (or dog harness). At the other end, there is usually some sort of handle that you hold on to. Just because it’s simple doesn’t mean they are all the same. However, the difference in quality can be very dramatic. You want a leash made from durable material that is also comfortable in your hand. If the handle is rough or unpadded, it can rub against the palm of your hand, leaving painful rashes. The risk of that happening is even greater if your dog is still pulling on the leash. However, make sure that you get one that matches the size of your dog. We’ll talk more about that below. PRO TIP: A standard dog leash is a great choice for those who have dogs that are already trained to use a leash and those who will only be using the leash for walking... not for going on runs or other exercise. Unlike a standard dog leash, a retractable dog leash can have the length adjusted. So if you want to keep your dog directly at your side, you can shorten the leash so that your dog has to stay beside you. On the other hand, if you want to allow your dog to wander and explore without having to follow them around on their every twist, turn, and pit stop to sniff a tree, you can simple extend the length of the leash so that they can explore without interfering with your walking pace. Retracting or extending the leash is usually done by pushing a button on the handle of the leash. So it’s very convenient. This is an especially good option for training because you can keep the length very short during training sessions so your dog quickly learns to walk at your side without pulling. It’s also good for owners who don’t really need their dog to always be directly at their side on a walk. It allows you to give them as much (or as little) freedom as you feel is appropriate. PRO TIP: One issue that can happen with these, however, is tangling. When you give them a lot of length to roam and explore, they might end up getting their leash wrapped around a tree or tangled up in their legs. So you’ll have to be alert to that possibility during walks. As you can probably guess, a hands free dog leash is one that you don’t have to hold with your hands. Instead, you strap it around your waste. This can be convenient for a lot of reasons but it is most often used as a running dog leash. Being able to run without having to hold a leash in your hand is great for both you and your dog. It means you can keep your focus on your run instead of on the leash. And it means that you won’t accidentally yank too hard on the leash. However, you definitely do not want to use this kind of leash if your dog is not trained to walk on a leash. If your dog is larger, they could end up getting overexcited and pulling you. So these leashes are ideal for medium to large dogs who are well trained to run on a leash without getting overly excited or losing control. PRO TIP: These leashes also aren’t ideal for smaller dogs. Or to put it more accurately, it’s not always a good idea to take your small dog running. They have much smaller legs than you and will get tired out much sooner. Training your dog to walk on a leash requires a lot of preparation and planning so we can’t provide a detailed guide in this short space. An untrained dog will be pulling. So you definitely need a quality leash that is not going to fray or break from that pulling. This is especially important if you have a medium to large dog. We find that positive reinforcement methods relying on treats and praise to encourage good behavior are usually the best for leash training. But you can also use negative reinforcement methods to correct the negative behavior of pulling. Choose a method based on the personality of your dog and what you think they will respond to the best. Until your dog knows how to walk on leash, every single walk you go on should be a training session. And you should train daily if possible. In fact, 2 shorter sessions (such as one in the morning before work and one in the evening when you get back) would be more effective than one longer one. Any dog can learn to walk on a leash without pulling. Just be patient and consistent with training. A tiny teacup Chihuahua should not be using a heavy duty rope dog leash that weighs more than they do. At the other extreme, a flimsy little leash will not do anything to control a Great Dane. So you need to get a leash that matches your dog’s size. You don’t want something that is either too heavy duty or too lightweight. This is mainly about whether or not your dog is trained to walk on a leash. If the answer is no, you need to get a leash that is suited for training. A retractable dog leash or one that is attached to a dog harness are great options for training purposes. On the other hand, if they are already trained, a nice leather dog leash or other general purpose leash will work perfectly fine. This is a pretty straight forward factor. If you just have one dog, no need to complicate things. Just buy one leash. However, if you have 2 or more dogs, you have the option of buying individual leashes for each one or getting something like a Dual Dog Leash. A double dog leash allows you to control both leashes from a single handle. This is more convenient and more comfortable for you and it makes sure that your dogs stick together. If you do go the route of buying individual leashes for each dog, you should also consider getting a dog leash holder. This is usually a wall mounted set of hooks that you can hang each leash on. That prevents them from getting tangled up or lost. 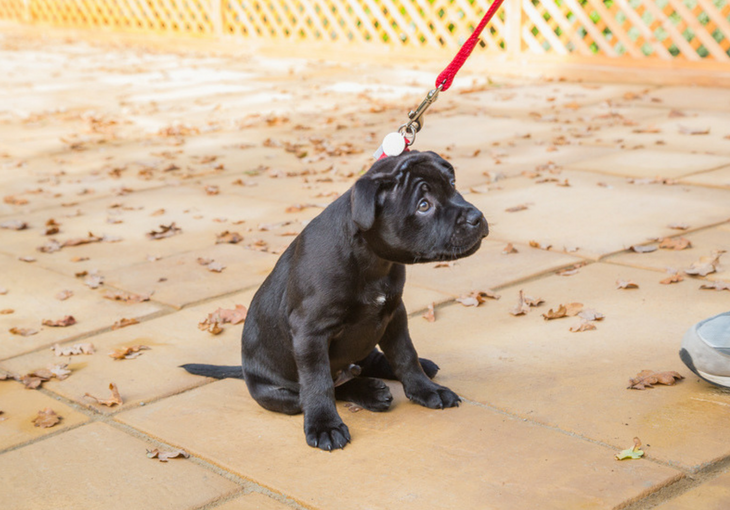 The main purposes a leash can serve are for walking, exercising, and leash training. 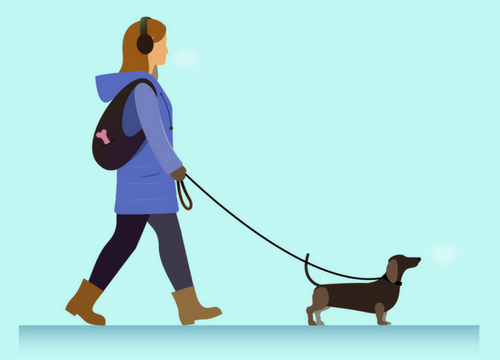 For walking, most standard dog leashes will do the trick—so long as you have accounted for the other 3 factors mentioned above. For running and other forms of outdoor exercise, a hands free or a bungee dog leash can be great options. However, it’s again important to mention that you shouldn’t take your dog for outdoor exercise sessions until they have been trained to walk on a leash. For training, you should get a special leash that helps you have more control over your dog so that you can effectively train them to stop pulling and walk obediently beside you. As you can see, there are a lot of different kinds of leashes that can serve different purposes. Choosing the one that is best suited to you and your dog will mostly come down to the size of your dog, how much experience they have using a leash, and what you want to use it for. So once you know what you should be looking for, finding the best leash for your dog should be no trouble at all!